Complex Says: "For Kobe's sixth signature shoe with Nike, designer Eric Avar went in the direction of a lightweight low-top with Zoom Air cushioning and a dual-layer memory foam insole. 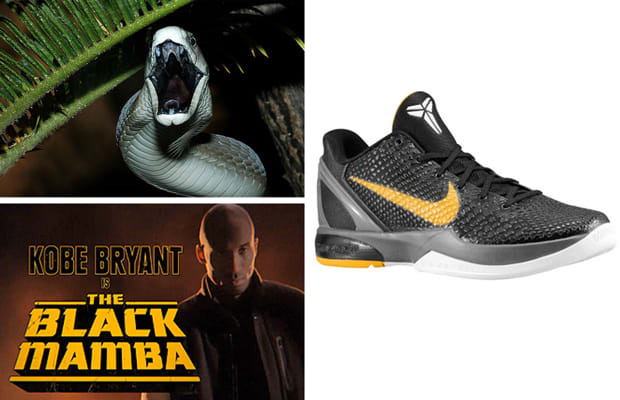 However, what really set the Kobe VI apart from the rest was the unique polyurethane 'Black Mamba'-inspired scales. Where are we at now, about 3,642 colorways deep on the Kobe VI?"